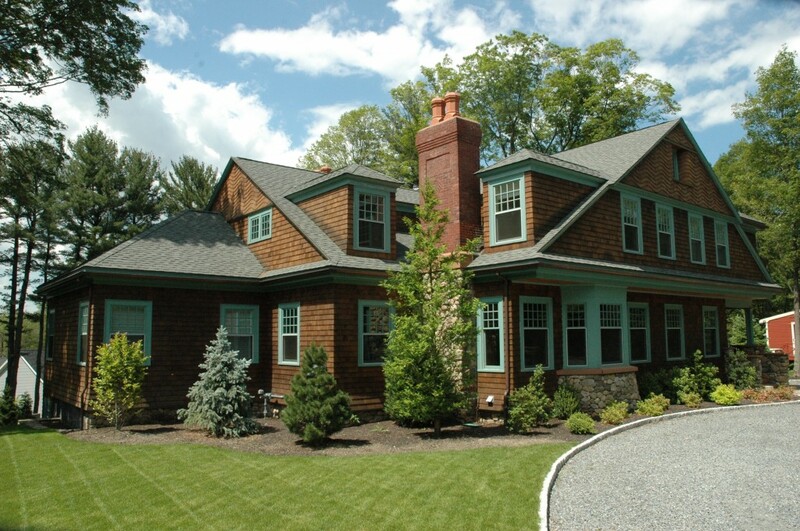 American Victorian | Stirling Brown Architects, Inc. 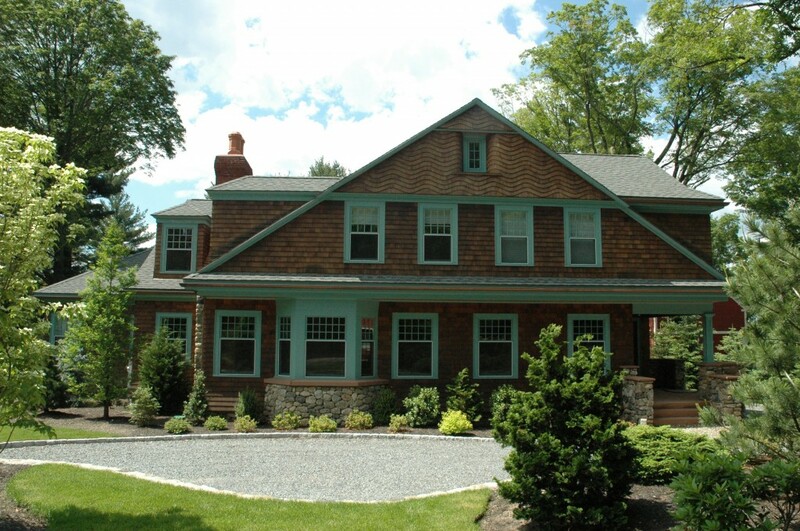 Original design for a new Shingle-Style, American-Victorian home in Winchester, also includes a separate free-standing, three vehicle door, Carriage House structure, containing a potential two level, in-law living suite. 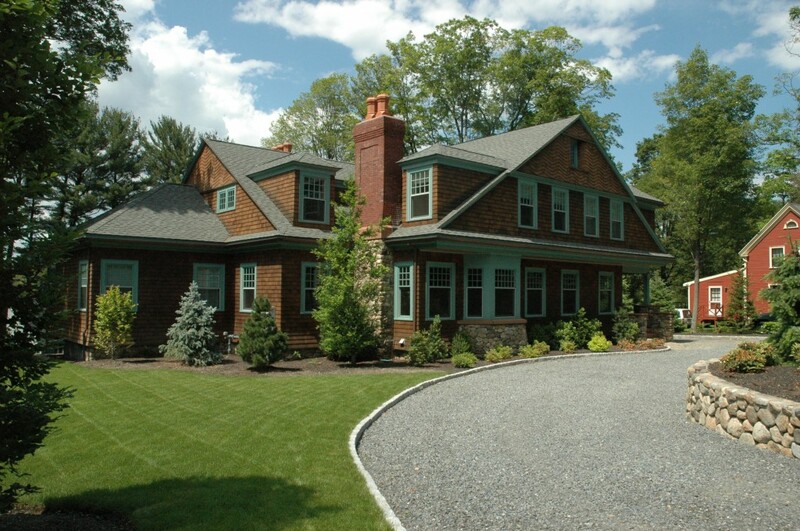 Outside, this home features decorative cut shingles and a granite fieldstone and brick chimney with brownstone trim. 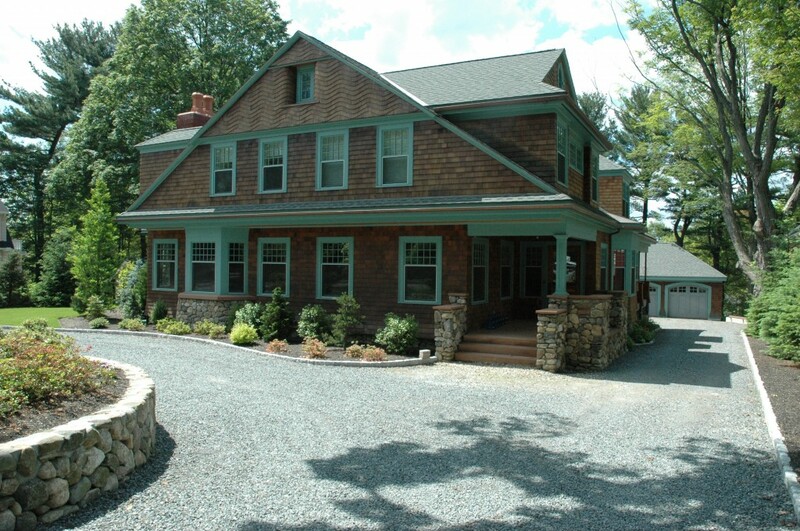 Brownstone is also used at the entry porch.